Some simple ideas to help you perform your best on test day! Read the Frequently Asked Questions first. If you still need help, connect with a customer service representative in your region. We are ready to assist. 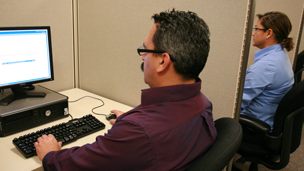 Familiarize yourself with the look, feel and navigation of a Pearson VUE computer-based test. View demo. On-base exams for active and retired military, dependents and contractors. Learning materials you need to effectively prepare. We are committed to ensuring access for all individuals.